Does your message change often? With A-boards on the sidewalk, you can show creativity and message very easily! With a quick switch you can always replace your messages. 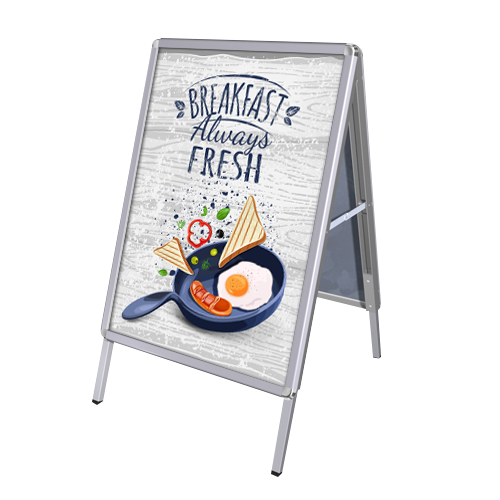 At Helloprint you can order a A-boards in various shapes and sizes, so there is always one that suits your liking. A-boards at Helloprint can be ordered at the lowest price in the United Kingdom! 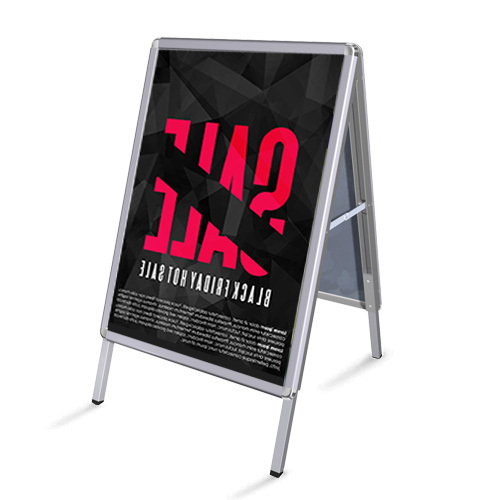 Pavement signs are delivered without posters, need posters with your pavement signs? Click here!. 2 How many signs would you like? Please note that posters are not included with the pavement sign. 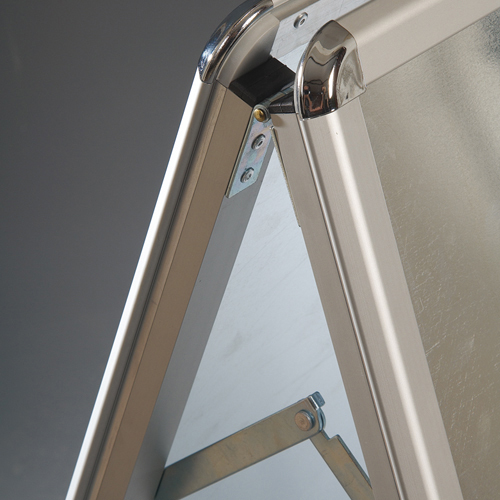 For the delivery of your a-boards we use multiple carriers. Because of the highest reliability, in most cases we use UPS or DPD. 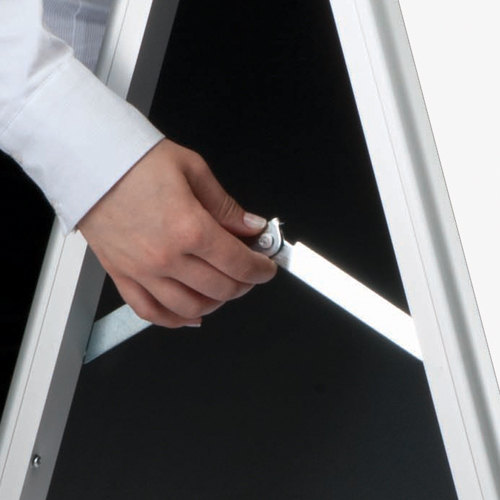 The a-boards that is chosen in most cases can be selected via our website. What is the weight of the A-boards?